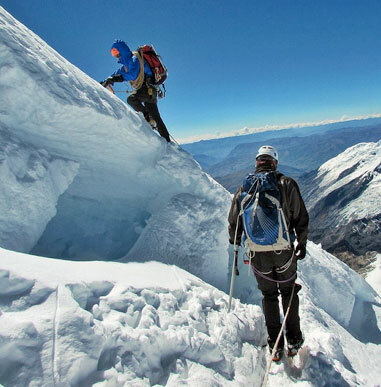 The Peru Team would like to share with you some pictures from their successful Pisco Climb. 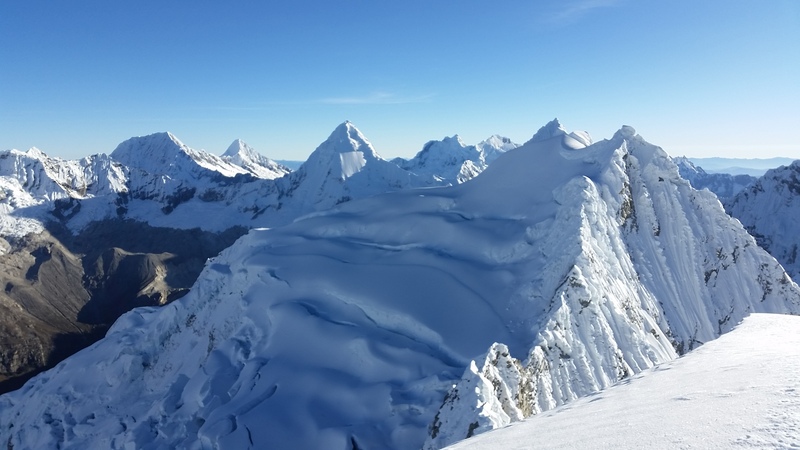 These fantastic views are considered by many climbers to be the best in the White Range. Sunrise. The Huandoy mountains in the background. The view to the north from the Pisco summit. 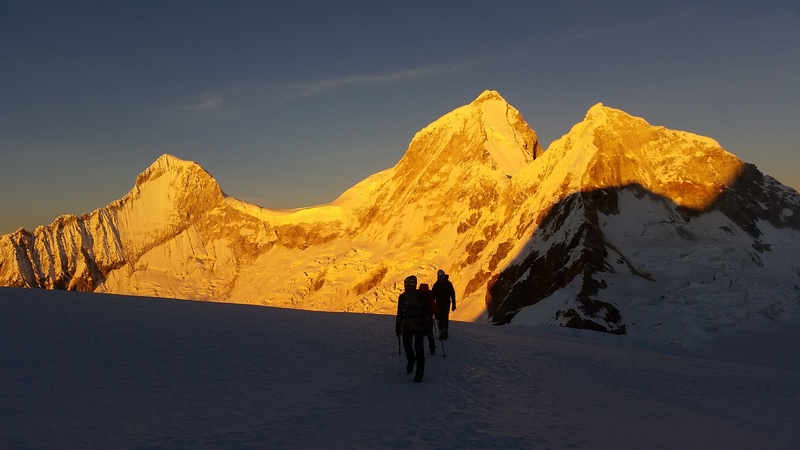 The pointy pyramids on the center left are Alpamayo and Artesonraju. The view to the south. 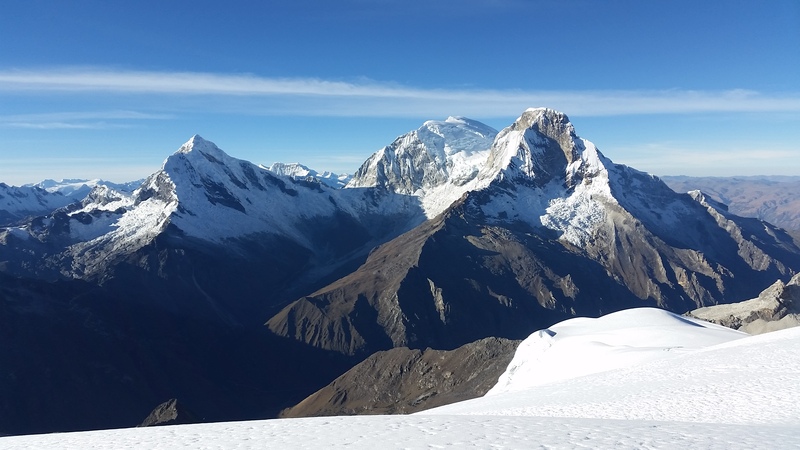 From left to right: Chopicalqui, Huascaran Sur and Huascaran Norte. 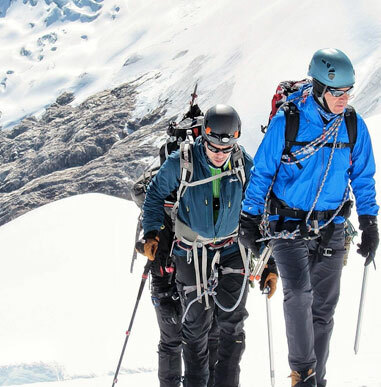 The Alpine Ascents team at the summit. Sharon, John, Nico and Paul. 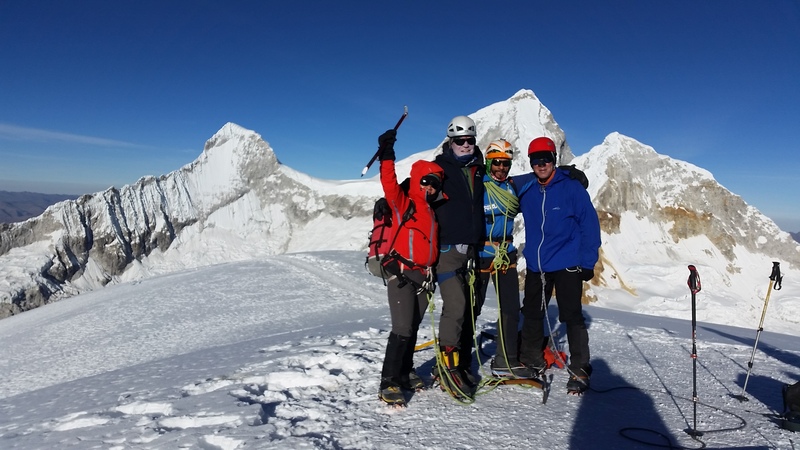 Great Peaks of Peru Team is on top of Pisco Oeste! 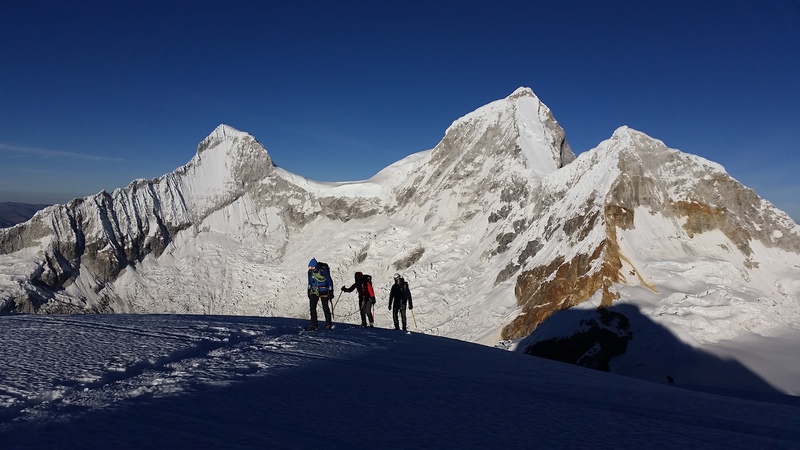 Great Peaks of Peru Team has been enjoying acclimatization hikes! Excellent trip along with very flexible itinerary. 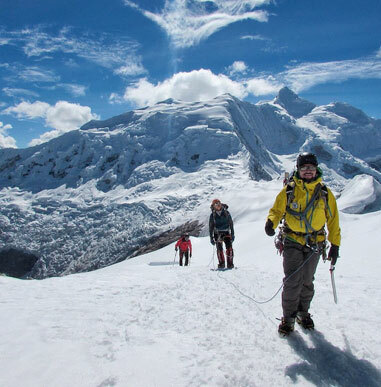 Jose Luis was outstanding, His foremost concern was the safety and well-being of the group. One of the safest and most skilled individuals I have ever met in the mountains!